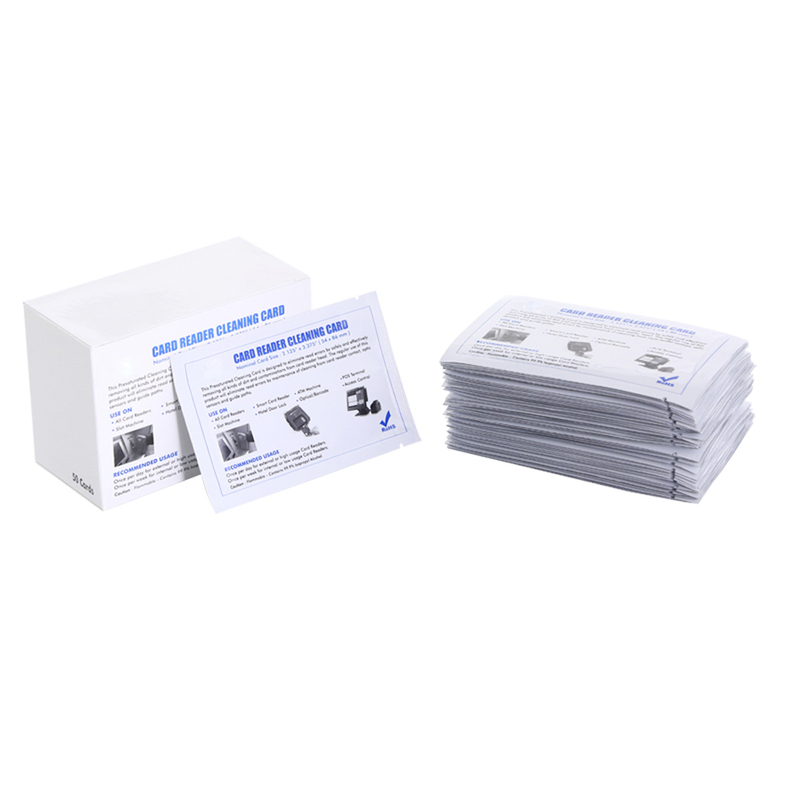 Credit Card Reader Cleaning Cards is used on smart card reader, POS, door lock, ATM. Most of read failure of card readers are due to dirty of the sensor. Clean your card reader once per week can reduce card reader read failure. The Cleaning Card is disposable as the presaturated IPA will dry out 10 minutes after you take out from the pouch. The cleaning card is laminated by automated lamination machine, it greatly reduced our cost and makes us the most competitive company in this product. Cutting by precise cutting machine ensure consistent high quality. Packed with 3 layers of aluminum foil bag ensure no solution leaking and prolong the storage life. l Economical Costs to maintain your credit card reader in Routine Maintenance. l Keep the card reader magnetic head clean helps to reduce misread. l Isopropyl Alcohol Cleaner will safely clean , remove dust, dirty stain on the magnetic head. The substrate material is PVC and laminate on both sides with Blend Spunlace Cleaning Fabrics and it is pre-saturated with IPA solution and pouched in polyester laminated aluminum foil to provide excellent moisture vapor barrier properties. 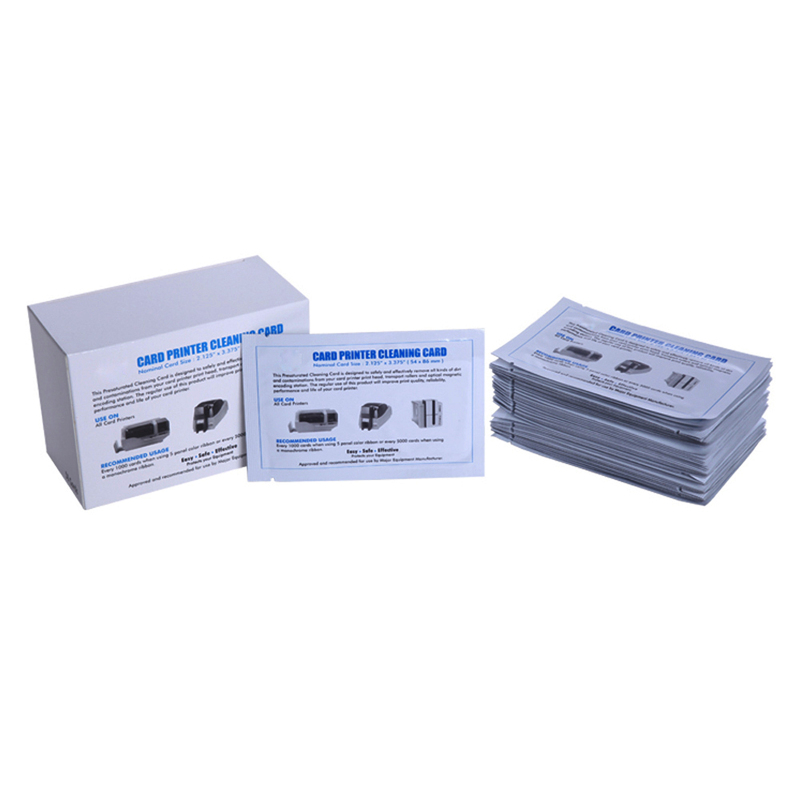 Looking for ideal EZ Credit Card Reader Cleaning Cards Manufacturer & supplier ? We have a wide selection at great prices to help you get creative. All the Staples Credit Card Reader Cleaning Supplies are quality guaranteed. We are China Origin Factory of Credit Card Reader CR80 Cleaning Cards. If you have any question, please feel free to contact us.